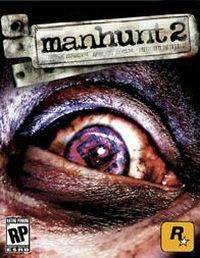 Manhunt 2 is a sequel to a controversial action game released in 2003 by people from Rockstar Games. We play the role of a scientist named Daniel Lamb, who becomes a pupil of a psychopathic murderer. An experiment at a secret research facility has gone catastrophically wrong. Daniel Lamb and Leo Kasper are the only surviving subjects. The Pickman Project will stop at nothing to hunt them down and stop the truth from getting out.